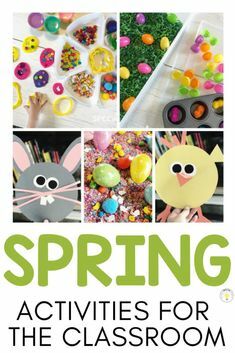 Once a child is ready to learn more about letters and letter sounds, we have to hook them with FUN activities! Worksheets and flashcards aren’t going to hold the attention of most learners, so step it up a notch with these interactive alphabet activities! Foundational literacy skills are pertinent in our early elementary learners, so be sure to make your learning time with them count. The more engaged they are, the more they will learn! When you start to introduce letters to students, the ones that they will most likely be familiar with are the ones in their name. There are so many different activities you can do with names. Here are a few of my favorite crafts that work well any time of the year. These are from my Celebrating Perfectly Perfect Names: Chrysanthemum Unit. Anything with Astrobrights paper turns out fabulous! I always make sure I’m stocked in this pack. Kids love sensory bins! Throw some letters into colored rice or dried beans and they will be hooked. This bin is just dried green lentils, poms, and letters from this Melissa and Doug letter puzzle pack. These letter popsicles were a hit in the classroom and now they are adored at home with my 3 year old. They are the Smart Snacks Alphapops from Learning Resources. You can revive ANY puzzle by throwing the pieces in a sensory bin full of rice. This puzzle is the Hape Alphabet Puzzle. Click here to read my post on other Puzzle Play Activities. I love adding different things to these Learning Resources Sensory Tubes and having kids “spy” the different items. They are perfect for these smaller letters and rice. Contact paper can be used so many different ways! 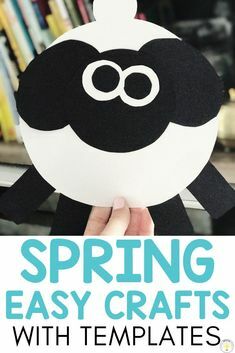 For this activity, tape it sticky side out to the wall and have kids stick foam letters to it. While they are sticking, name the letters with them and come up with different words that begin with the letter. This one is sure to be a hit! We love getting out our sponge letters to spell our names or just practice stamping letters! Write large letters on paper and have kids match magnets or letter manipulatives. It’s like a giant interactive worksheet! The letters used in this activity shown are from the Elmo Letters on the Go. I got this idea from Days With Grey and we are obsessed with sorting anything by color and with rainbows, so it was a hit from the start. I used magnets I grabbed in the Target dollar spot for this, but you could use any letter magnets! Just draw a rainbow on a larger piece of paper (I use the Melissa and Doug paper roll) and tape it down to a table. I taped ours to our giant magnet sheet (which is just a large oil drip pan from walmart), since we were sorting magnets. Click here for a tutorial on a DIY Magnet Board. If you haven’t made “moon sand” yet, make it now! It is so soft and easy to mold, so it’s perfect to use with these alphabet sand molds. To make it, just mix 8 cups flour with 1 cup baby oil together until you get the consistency where you can mold it. These books have been a must have in every classroom I’ve worked in. They just take the traditional ABC books up a notch for students that need something to keep them engaged while reading. 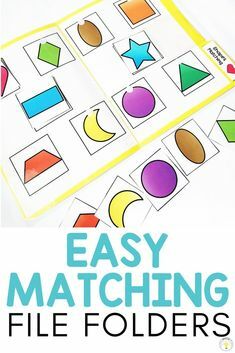 Matching is such an important pre-reading literacy skill! Click here to grab them! When I saw this picture on Instagram, I immediately gasped because it is GENIUS, especially for our tactile learners. This idea is from @edventurouslittleapples. She just glued pipe cleaners onto printed out letters. So smart! When I was in the classroom, I used these strips for my younger students just learning their letters and sounds, but also as independent tasks for students who needed maintenance with writing their letters and identifying beginning sounds. 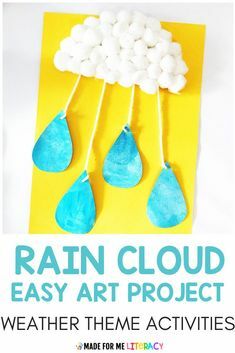 Not only are these adorable, but they work as a great visual reminder for kids! Make them and hang them up as a bulletin board or as your classroom alphabet. 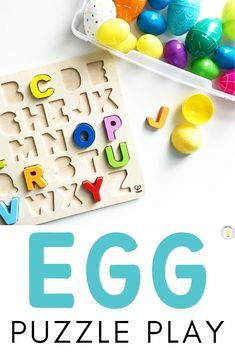 They are a great supplement to add to your phonics block and the students can create an ABC book to take home once you cover the whole alphabet! This letter construction activity is an easy ABC center your kids will love! They have cards for each uppercase and lowercase letter to follow and build the letters. Mix them up and have your students put them in order alphabetically, or give them a string of numbers with one missing. 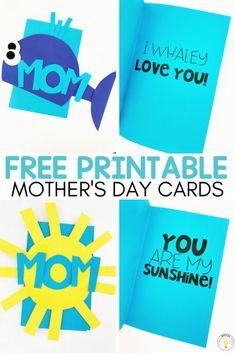 You could even use them to have students practice spelling out sight words, color words, number words, etc. There are so many different ways to use these. When I still had a classroom, I always had a center that was mainly running with clothespins. Fine motor and academic skills covered? YES PLEASE! I have the ones pictured and also these ones. Playdoh is a game changer for any activity. Pull it out and kids will be locked into the activity. 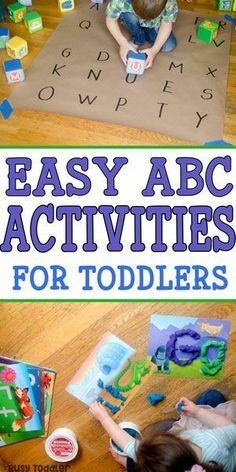 Have them use alphabet cookie cutters, alphabet stamps, or just their hands to roll and build letters. They won’t know its work. 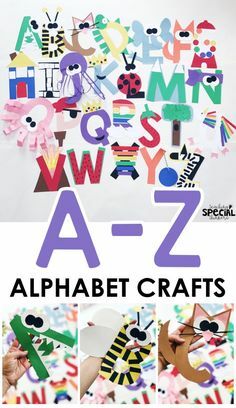 What are your favorite alphabet activities for the classroom or home? Please note: Some of the links included in the post are affiliate links. this means that if you click on a product link, I may receive compensation. Compensation through the affiliate links comes at no additional cost to you. All products listed are items I have purchased and use personally. My love for clothespin tasks continues. There is no greater feeling than an organized classroom. Makes back to school time a breeze! FREE LABELS!